So I'm steadily reviewing my way through the box of sample bars that Balance Bar sent me to try out. Some of them have interested me and I've been excited to try them, some of them I have dreaded reviewing and others are just there and I really have no feelings on them whatsoever because they are just boring. 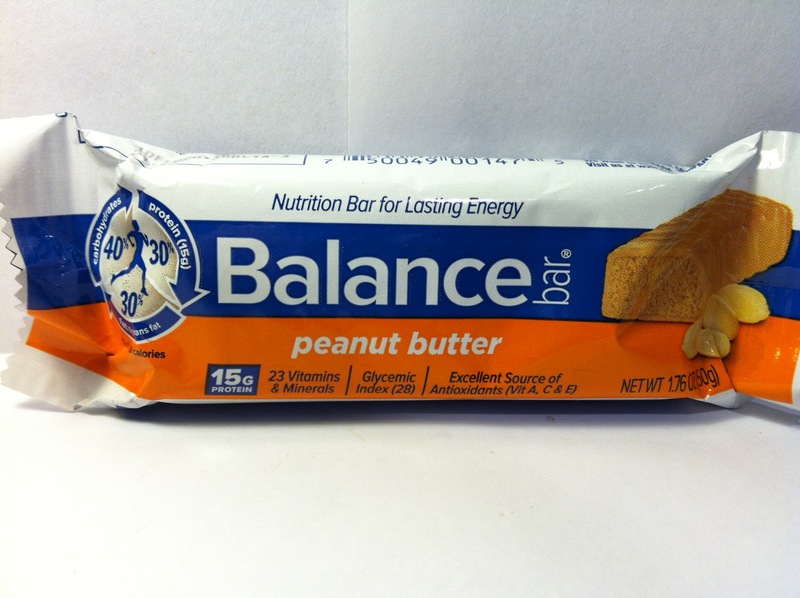 That's the case with this Balance Bar Peanut Butter Bar bar. Now, I love Peanut Butter as much as anyone in the world, but a bar that is just peanut butter is a pretty boring thing. What made this one almost a dread for me to review was the fact that I reviewed Balance's Nimble Peanut Butter bar and it was awful, so having this bar from their normal line of bars with the same name did not exactly fill me with a great sense of anticipation. That said, I made it my goal to review every single one of the samples they sent me, so it's time to review this 1.76 ounce bar that had 200 calories and fifteen grams of protein. As you might expect from a bar with such a boring name, it was visually boring as well. This bar had a harder peanut butter outer coating and the interior protein mix was basically the consistency of peanut butter. All the color were essentially the same and there was nothing in there that added a "rough" texture to the bar via an add-in. It was just smooth, semi-strong smelling peanut butter and that was it. I've learned my lesson many times about bars having a strong smell of peanut butter and then having no peanut butter taste, so I approached this one with a sense of apprehension. My apprehension quickly subsided though because not only did this have a strong smell of peanut butter, it also had a strong taste of peanut butter as well. It was semi-sweet, but primarily a hearty taste and since it was so strong, it was basically like someone took a jar of whatever creamy peanut butter brand you prefer and molded it into bar form. It was a nice flavor, but that's the only flavor that there was since that's all this bar was. What this bar could have used was some sort of textural component to break up the chewy characteristic of the bar that added some crunch so that it did not feel like you were just chewing a block of nothing. Buy It or Fly By It? Despite the fact that I could consider this bar boring since it only had one flavor, I'm still going to give it a BUY IT rating because that one flavor of peanut butter was more than enough to make this an appetizing bar, especially for someone with a more than mild peanut butter obsession like myself. If you too are a peanut butter lover, I think you'll find this bar more than enough to fulfill a peanut butter craving. 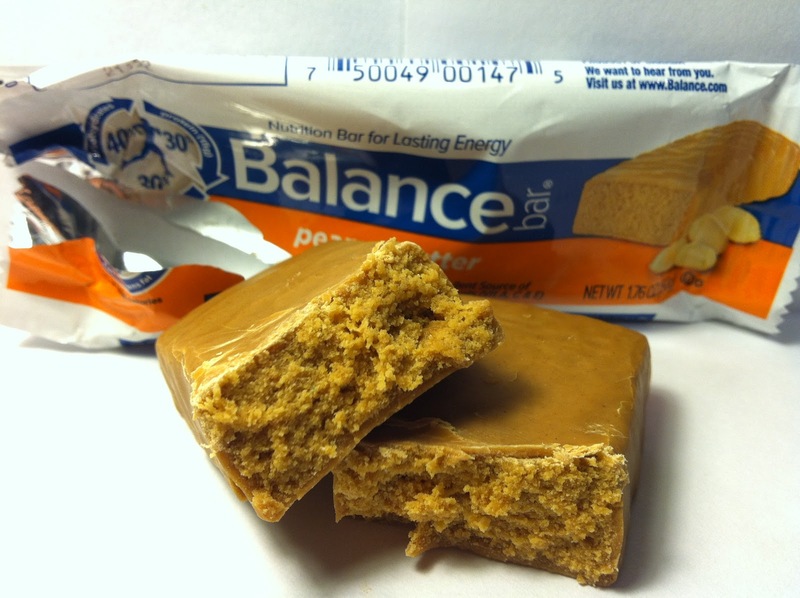 I have only tried the cookie dough balance bar, and the taste is great for a protein bar. There are chocolate chips which add more texture to it, which according to your review, the peanut bar is lacking. But as a preworkout snack I love these things.